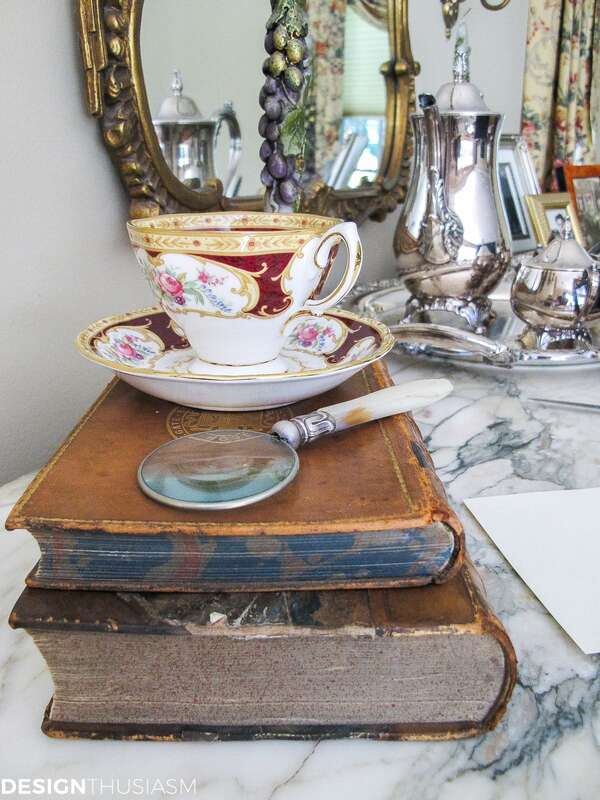 In this post: Decorating with books can add charm and elegance to your home. 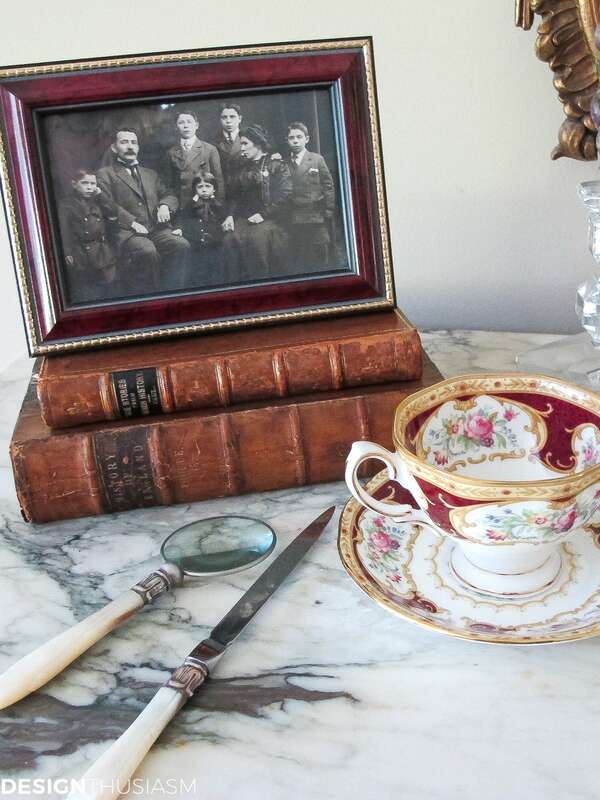 Here are ideas for displaying vintage books in your decor. 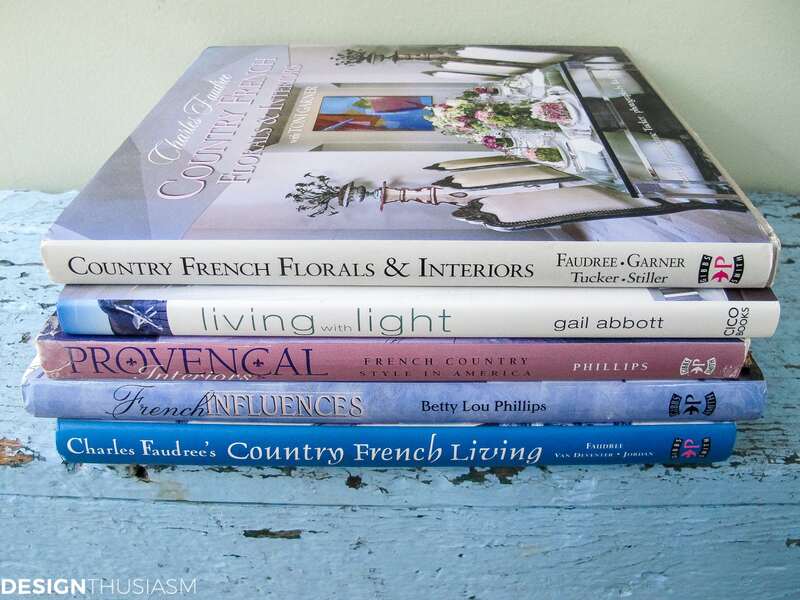 Whether it’s back-to-school season, holiday time or mid-summer, it’s always a good time to explore living with books and how we incorporate them into our homes. 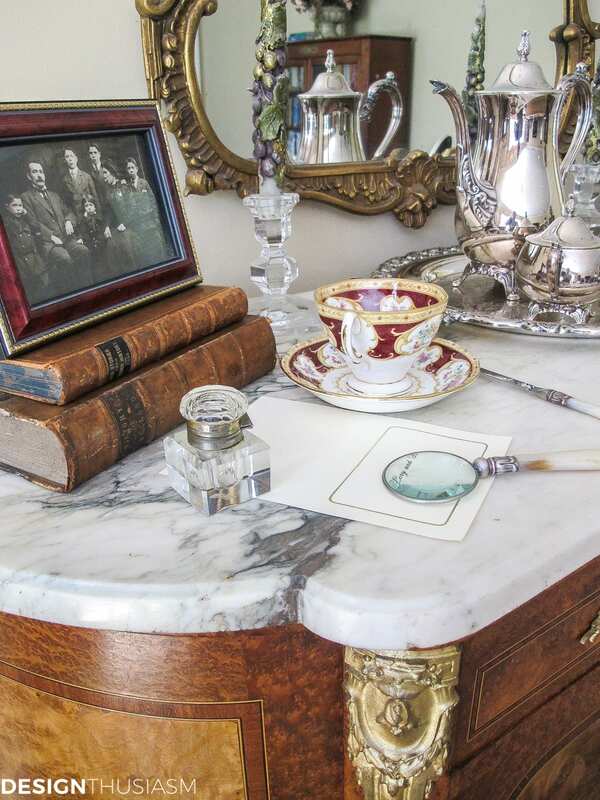 From antique leather bound treasures to vibrant new coffee table tomes, books and other literary accessories are delightful to pepper throughout your home. When I collect old books, I always make my selections not just for the visual aspect but by the quality of the title as well. I picked up this copy of Jane Austen’s Pride and Prejudice at one of my favorite markets in London. 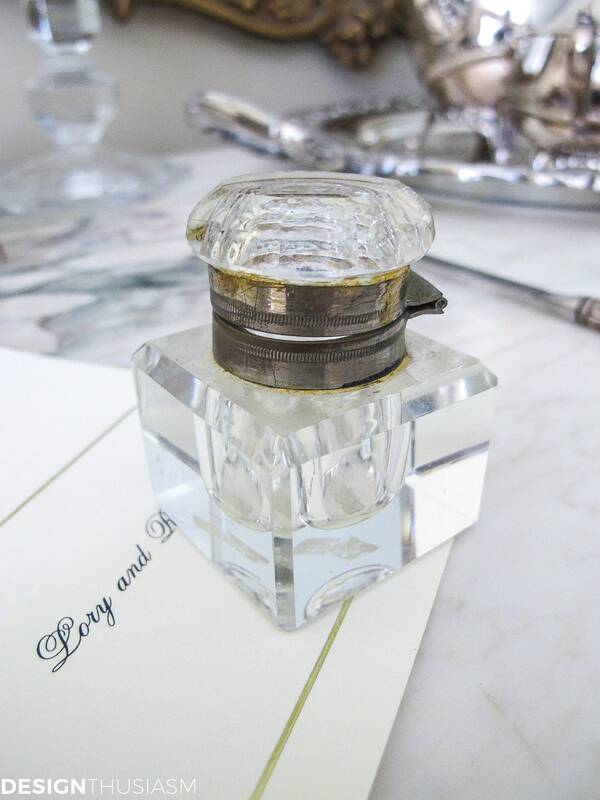 Antique crystal inkwells are another favorite of mine and work well in a library, home office or family room. 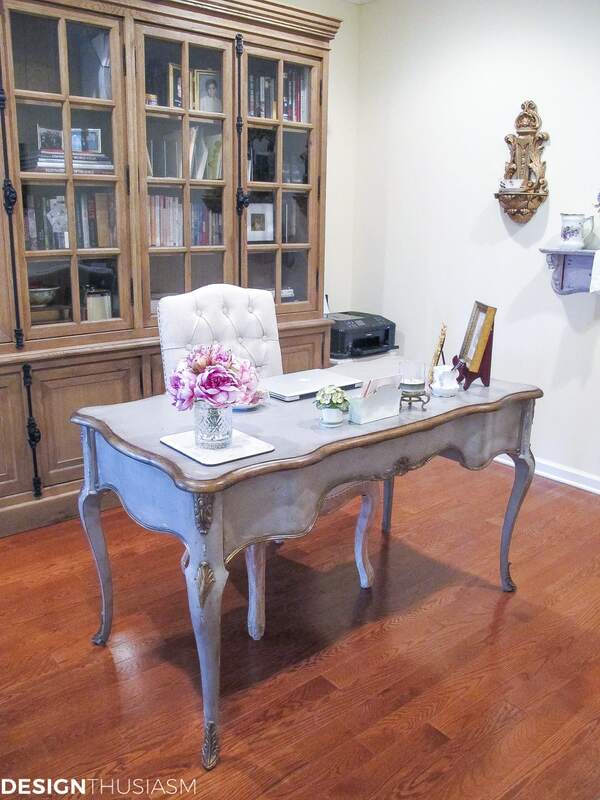 This French bookcase was found in Lambertville, New Jersey and provides a nice alternative to open shelving. On my English writing desk I keep various library essentials. 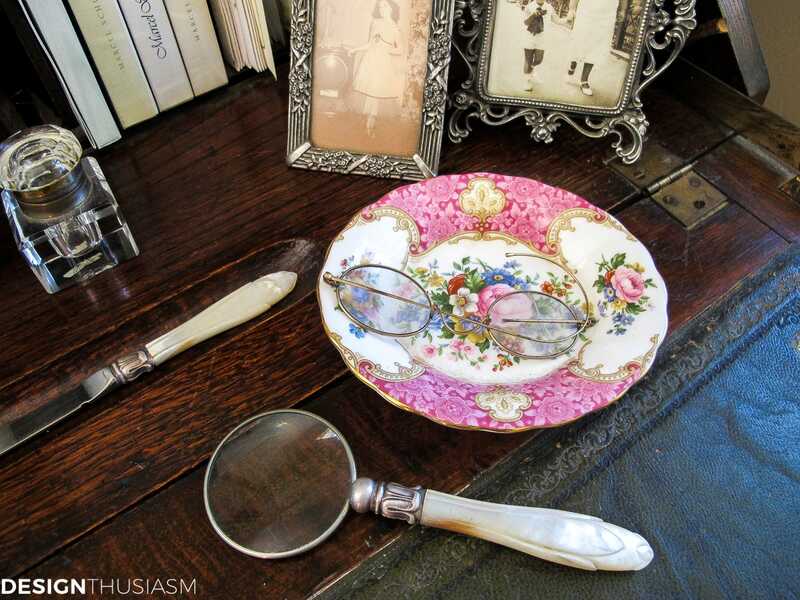 The mother of pearl magnifying glass and letter opener were also found in London and the vintage specs lend a scholarly air to the vignette. I keep old family photos sprinkled throughout the house. This one sits atop a leather bound History of England. 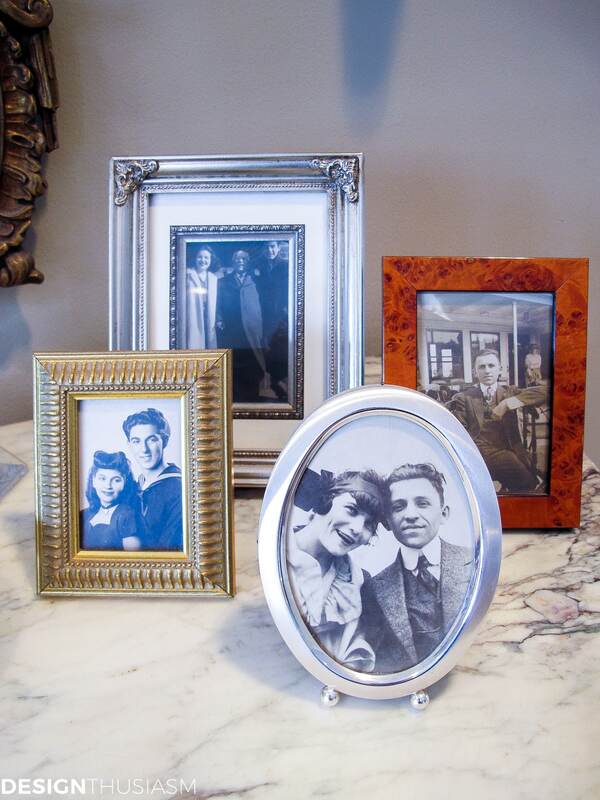 Assorted vintage photos cluster nicely together in varied frames. 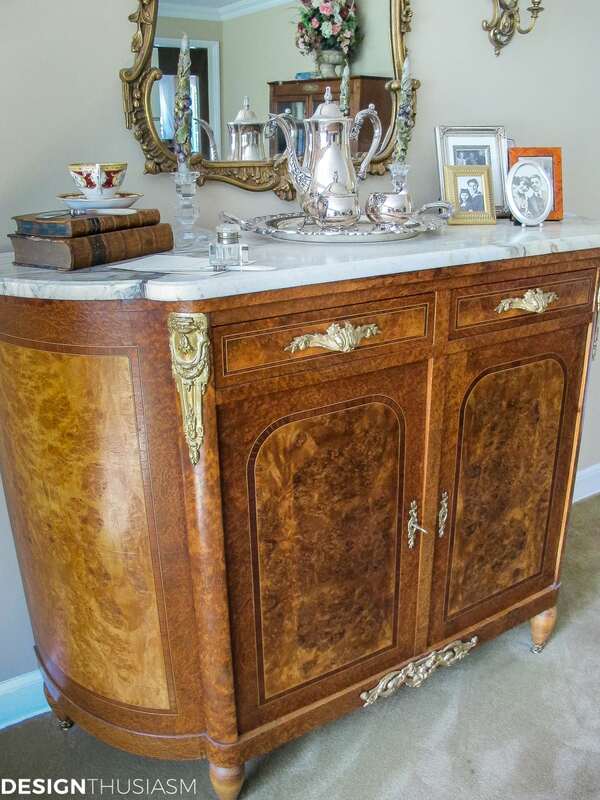 One of my very favorite pieces is this French burled wood sideboard that we use as a bar. In my office I keep coffee table books, stacked here on a lovely blue chippy bench. 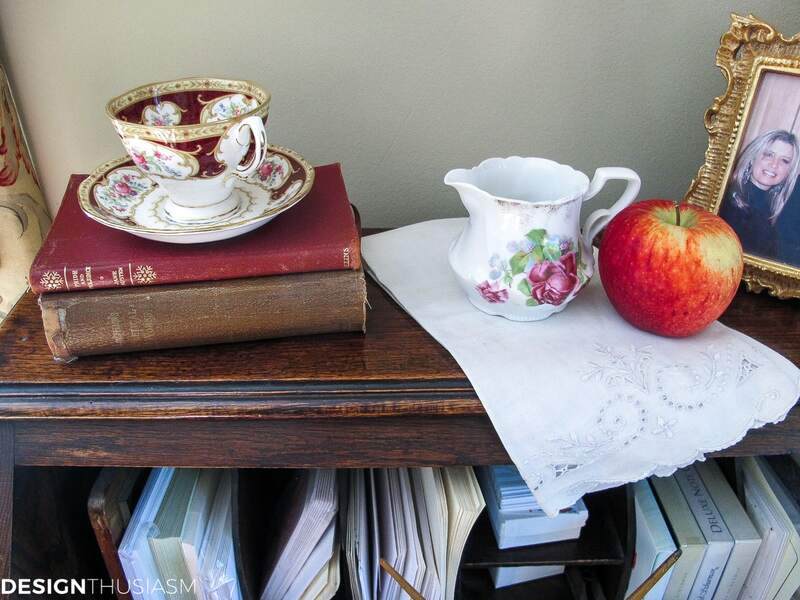 Our writing desk in the family room holds my many stationery options along with some vintage china pieces. Who can resist a cup of tea when sitting down to dash off a note? 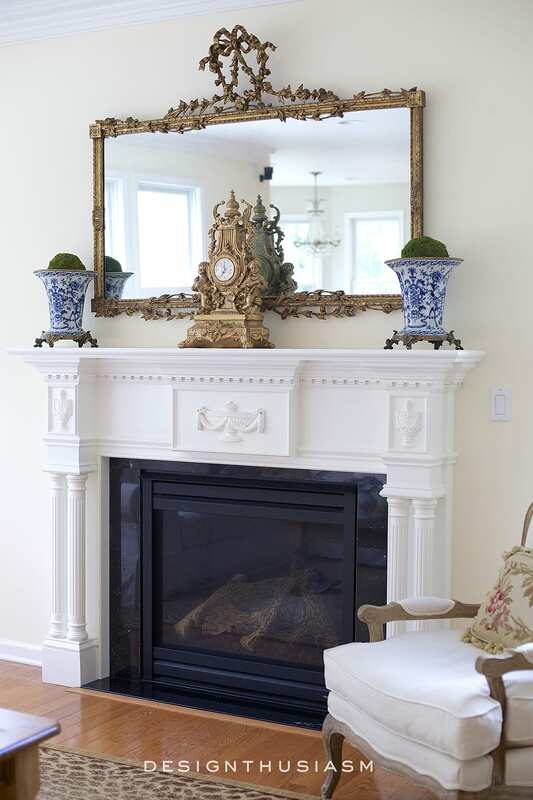 For me, library details add depth and pedigree to a home. 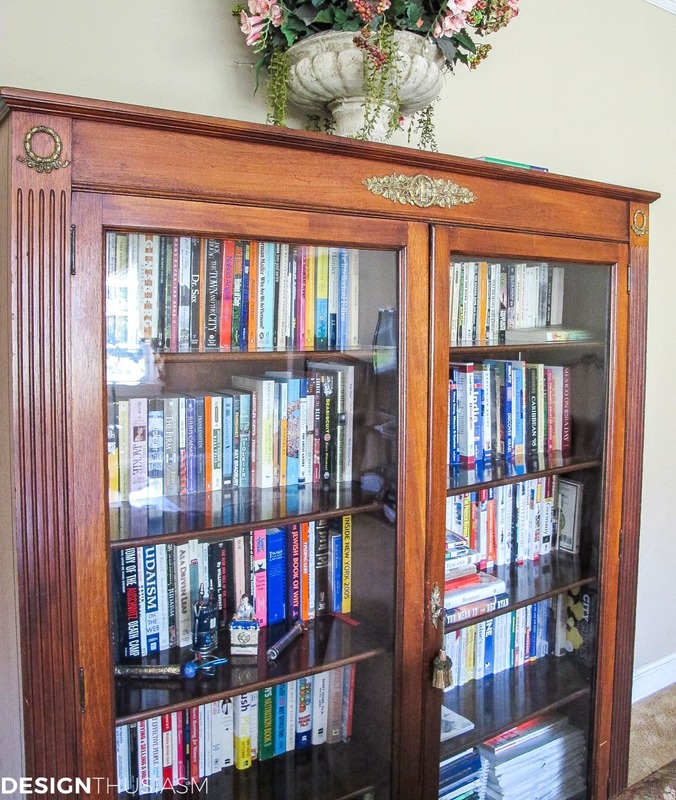 Do you like to display your books? 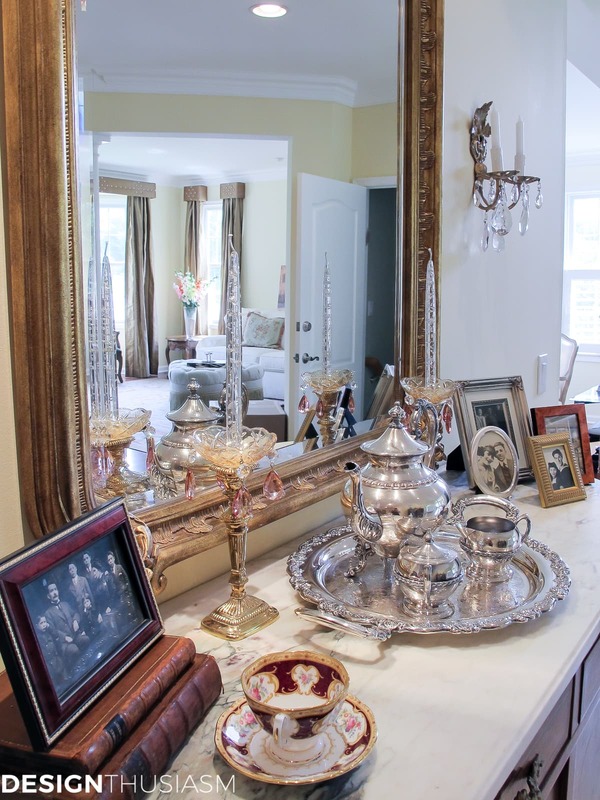 You have some really lovely pieces in your home, a lot are similar to what I have inherited from my mother and this post is a reminder to bring some out and display them from time to time. Unfortunately with a small cottage I don’t have a lot of space to display items. 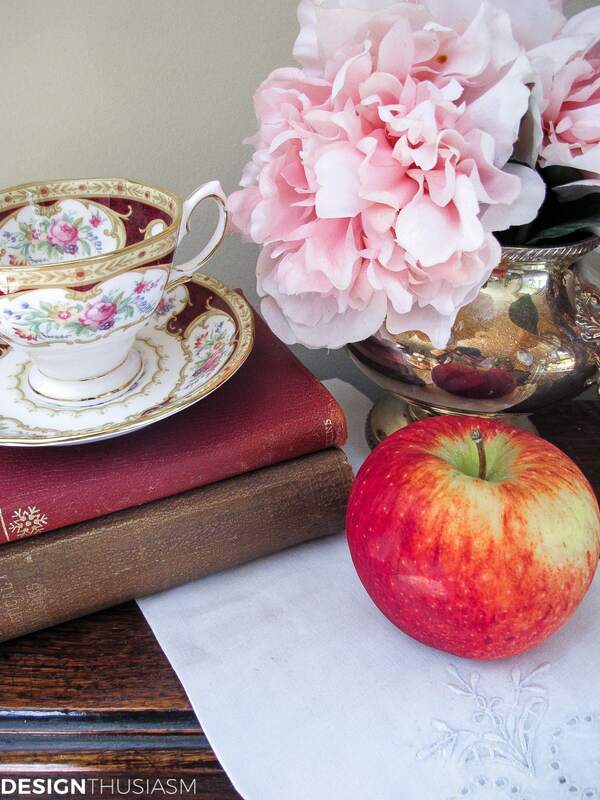 Lory, you have created such beautiful vignettes with your books. I found several old leather bound books, at my parents’ home, that I have yet to display. Many more are just vintage (my mother was a librarian). You have inspired me to work on a few vignettes this week. You have such lovely accents. I love this post! Old beautiful books are such a treasure. That creamer beside the apple looks like a twin to my sugar container! Thanks Jenna!! I actually find other peoples book shelves fascinating. Says so much about a person what they read. In my office I have open shelving and on one side I have really serious books (mostly about history and politics) and the other side is completely vacuous – all about decorating and living a beautiful life! Lol – the two very distinct sides of my personality. Please send an email with all your specific info. 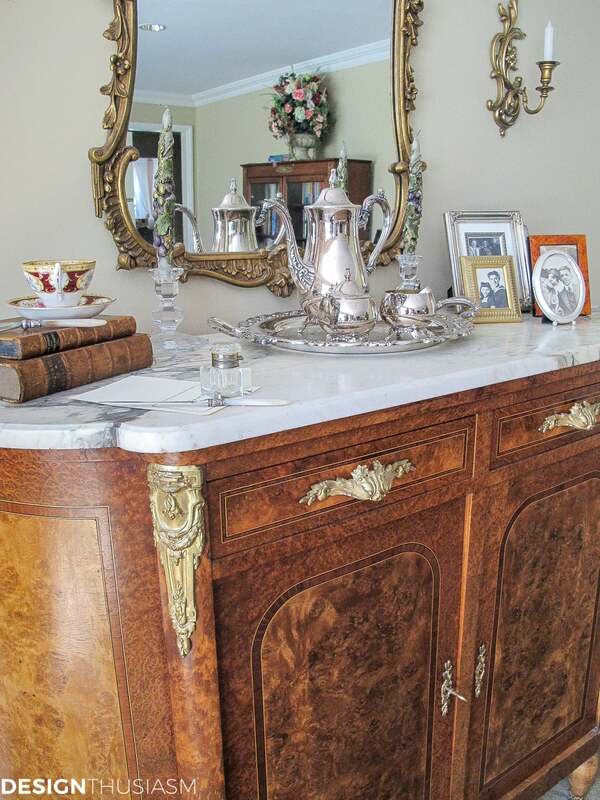 Oh my, I could move right into your home and settle back to read a good book!